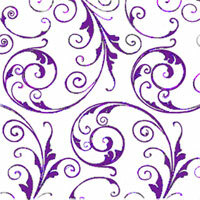 Doorknob Go Bags 9x12 Jewel Purple. What a pretty way to deliver products and literature! High quality plastic. Bag measures approx 9" wide x 14.5" from top of handle to bottom of bag. Bag background is clear. Each order comes with 100 bags. Love this bag. Great for my Jamberry business but I am not finding it listed any longer. Where is it?